IBM branded (non-generic) with part numbers 00Y2683, 2076-3206, 85Y5864, 49Y7406 & 00L4521 is a 600GB 10K SAS HDD for your IBM Storwize V7000 and Storwize V7000 Unified Disk Systems. Whether you’re upgrading your IBM enterprise storage or simply looking for a replacement hard drive, we have what you need. If you don’t see the part listed that you’re looking for, please use our Contact Us form; as we have many parts in inventory that are not listed. Please note that all IBM hard drives sold by SPS Pros are used / refurbished, fully-tested, and backed by a 60 day warranty. The IBM 00Y2683 600GB 10k SAS HDD is also known by part numbers 2076-3206, 85Y5864, 49Y7406 and 00L4521. 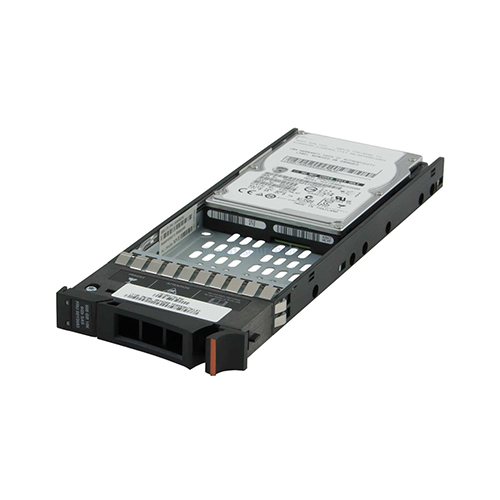 Ideal for NAS, SAN and DAS external enterprise storage solutions, this IBM 00Y2683 drive provides the highest capacity and best reliability available in a small form factor, 10K-RPM enterprise hard drive. This drive enables 3.5-inch to 2.5-inch form factor transition and widespread market adoption of 2.5-inch-based external storage solutions for enterprise OEMs, system designers and end-user organizations. This 2.5 SFF SAS 10K drive offers the advanced SAS 2.0 interface and operates at 6-Gb/s transfer rates. SAS 2.0 provides the next generation of signal and data integrity features making SAS ideally suited for use in high-end network storage applications. The SAS 2.0 feature set and 6-Gb/s transfer rate supports larger topologies by connecting more expanders host bus adapters and RAID controllers within or across more storage arrays; by communicating over longer distances with high signal integrity and by moving data two times faster thereby doubling data throughput. This powerful 2.5-inch drive’s advantages translate into greater overall value to IT organizations and administrators who want to optimize their data center performance efficiency. Integrated dual port SAS controller supporting the SCSI protocol. Vertical, horizontal, or top down mounting. Idle Read After Write (IRAW). Industry standard SFF 2.5-in dimensions. Incorporates industry-standard Self-Monitoring Analysis and Reporting Technology (S.M.A.R.T. ).